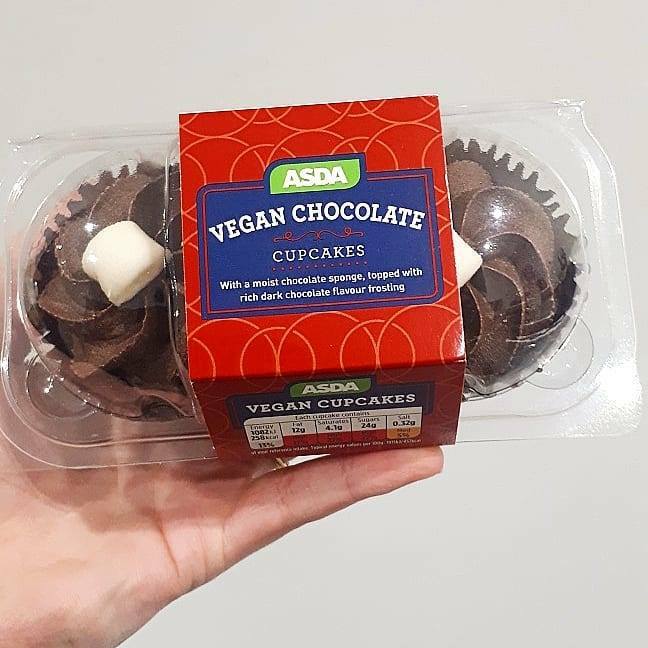 In a bid to meet the growing demands from customers for vegan options, UK supermarket Asda has released new ‘dirty vegan’ meat alternatives and vegan cupcakes into stores. Asda supermarket has just launched (January 28th) a brand new range of vegan meat alternatives into stores across the UK in a bid to provide its customers with a wider range of plant-based products. 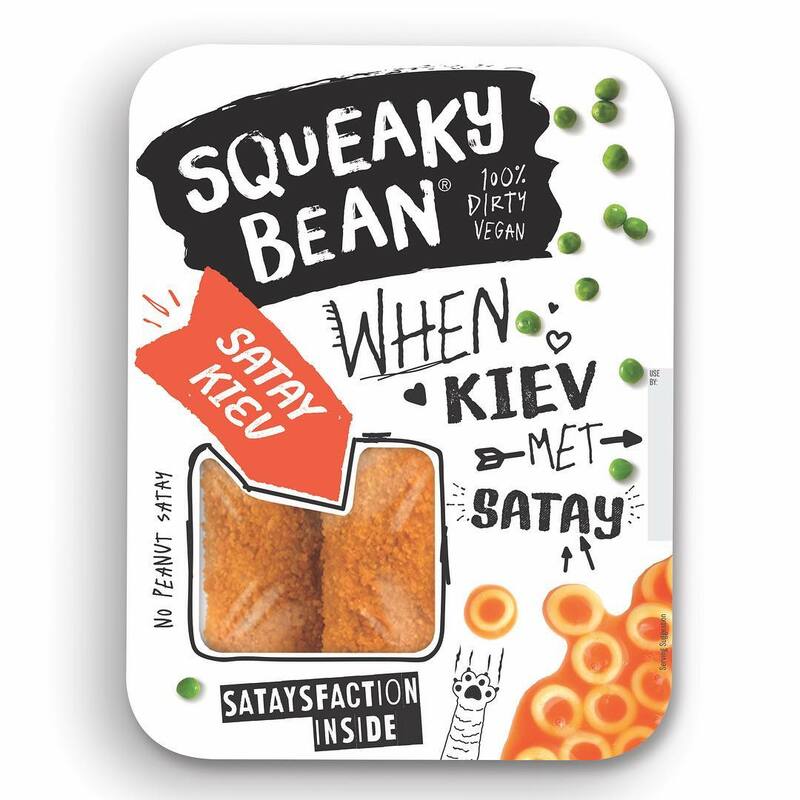 The vegan range, made by Squeaky Bean, includes vegan versions of childhood favourites such a Fingerless Fingers, Nuggets and a delicious Satay Kiev and can be found in the chilled aisle. 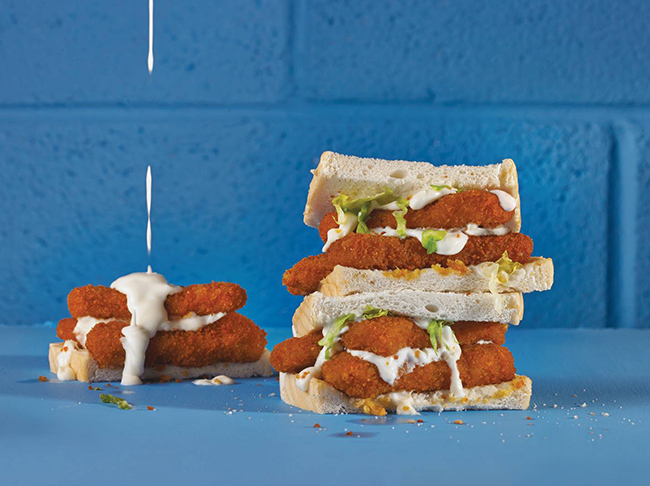 Squeaky Bean is the first plant-based meat brand created by European chilled food supplier Winterbotham Darby, and they have big plans to “challenge the squeaky clean image of veganism” by offering some healthy competition to vegan ranges currently offered in supermarkets. 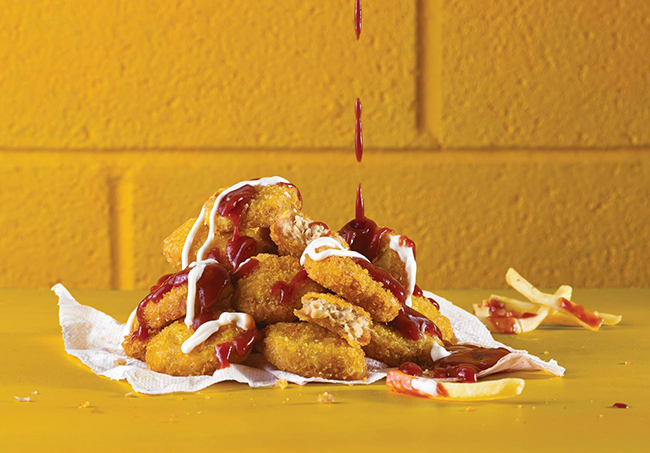 Squeaky Bean products are manufactured in the Netherlands and are made up of a blend of soy and wheat protein to give consumers looking to indulge in “dirty vegan” junk food some tasty new options. If you’ve got enough room for dessert, the supermarket has also added sumptuously vegan cupcakes (£1.50) to help you get your sugar fix. The chocolate sponge cupcakes are made with strawberry jam and coconut milk, topped with chocolate flavour frosting and decorated with gelatine-free marshmallows. In 2018, the retailer made a conscious effort to improve its vegan offerings with the launch of a line of vegan-friendly Mushroom Cumberland Sausages seasoned with caramelised onion, sage and parsley, priced at £2.50 per six-pack. It also unveiled a host of vegetarian and vegan ready meals including a vegan Mediterranean Vegetable Gnocchi as well as a range of vegetarian products such as Beetroot Burgers, Roasted Red Pepper Sausages, Tikka Masala, Beetroot Risotto and Mushroom Stroganoff, priced between £2.30-£2.50. At Christmas, the supermarket also released an affordable vegan cheese board, a Chestnut Roast, Vegan Chocolate Caramel Pots and a Vegan Pâté.